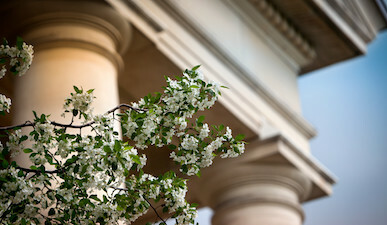 Each year the students of Cornell University elect a fellow student to serve on its Board of Trustees; in alternating years with the graduate and professional students, an undergraduate will be elected. Cornell is one of relatively few institutions in the nation that enable students to directly elect representatives to its highest governing body. The elected Student Trustee will be a voting member and full participant on the Board of Trustees serving as a crucial bridge between the student community and those who shape the university's future. Must be a full-time student in residence at the Ithaca campus and enrolled in or admitted to a course of study that will allow you to remain so until May in the final year of your two-year term as trustee. Students enrolled at the Geneva campus of the University are considered Ithaca students for the purposes of these rules.